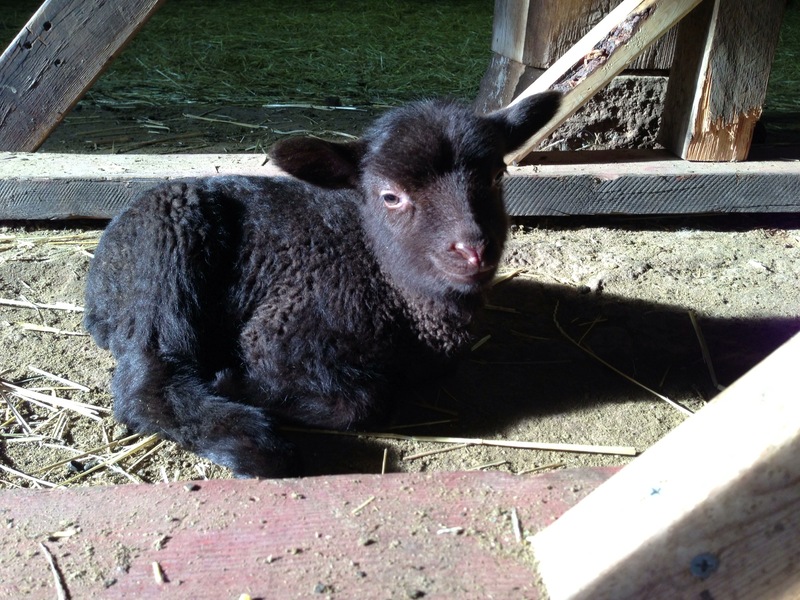 With the arrival of one last little ewe, we officially ended our 2013 lambing season on Monday. 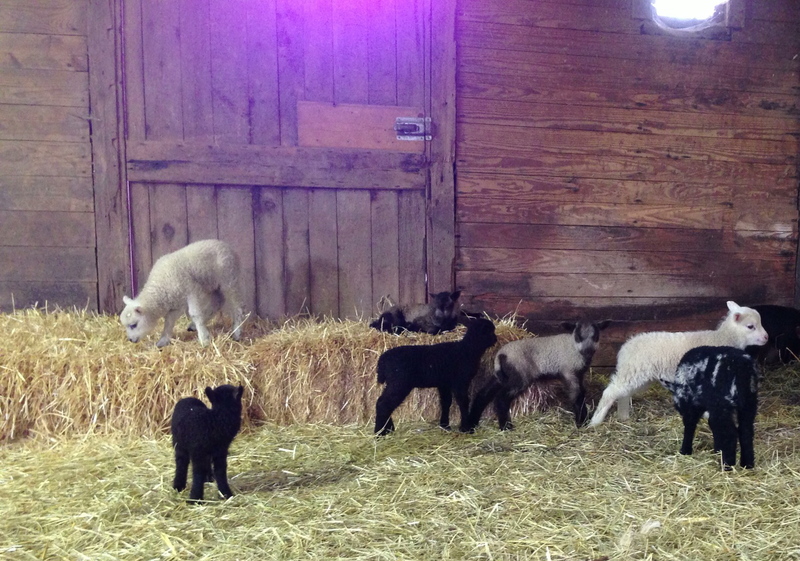 That makes seven ewe lambs and six rams for a total of 13 babies born. Almost an average of two sheep per bred ewe, which I am to understand is a pretty good result with Shetlands, especially considering many of them were first time mothers. 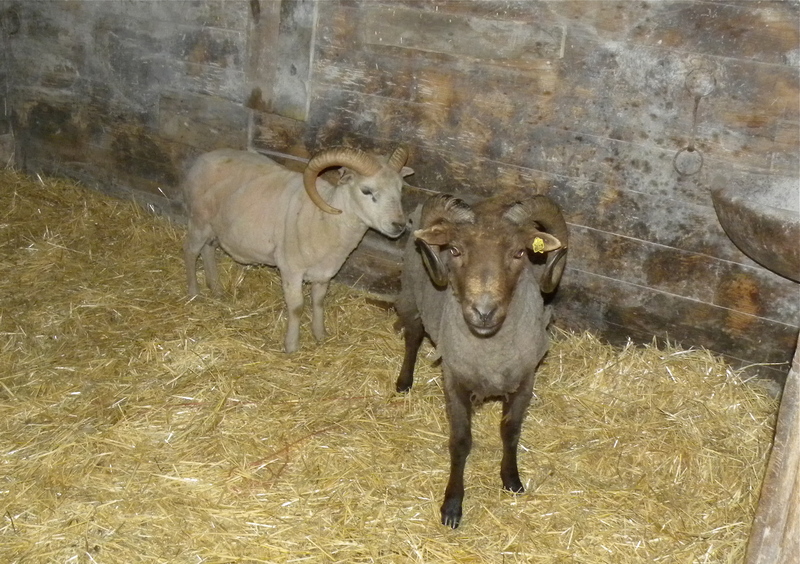 With the exception of Hope and Catalina, who both lambed the same morning, each ewe gave birth within 48 hours of the previous lambs being born and I dare say you may have been able to set your watch to it. I think Kevin and I agree that it was the most fun we have had in all of our farm duties to this point. 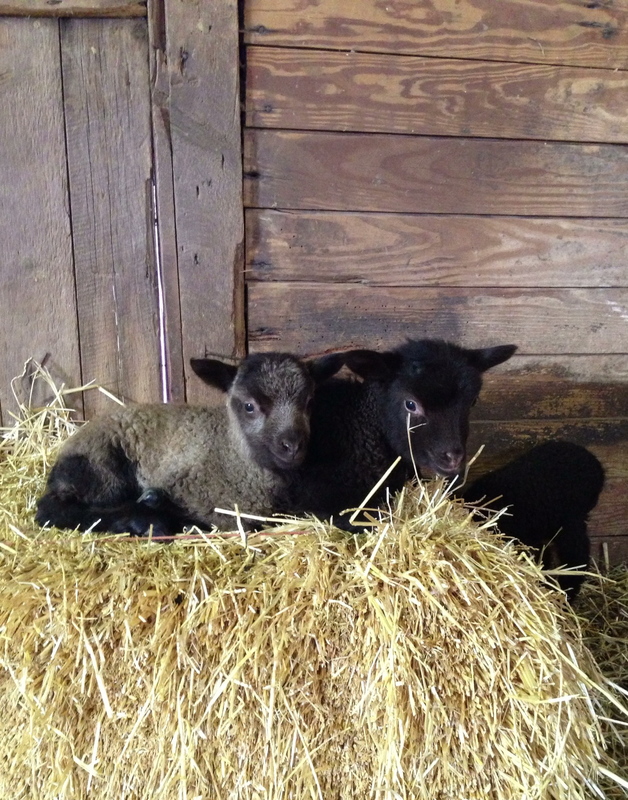 The anticipation of each ewe going into labor, combined with the surprise of how many would be delivered and what the new lambs would look like, made it that much more exciting. 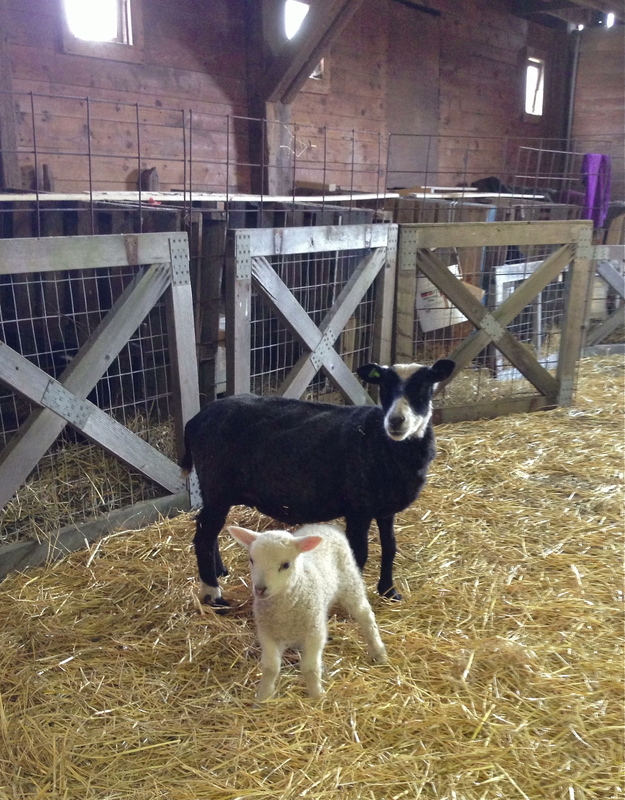 As far as we know (about half of the girls lambed without any of us witnessing the process) there were no birthing issues with the exception of the slight surprise of Catalina’s second twin being born hind legs first. 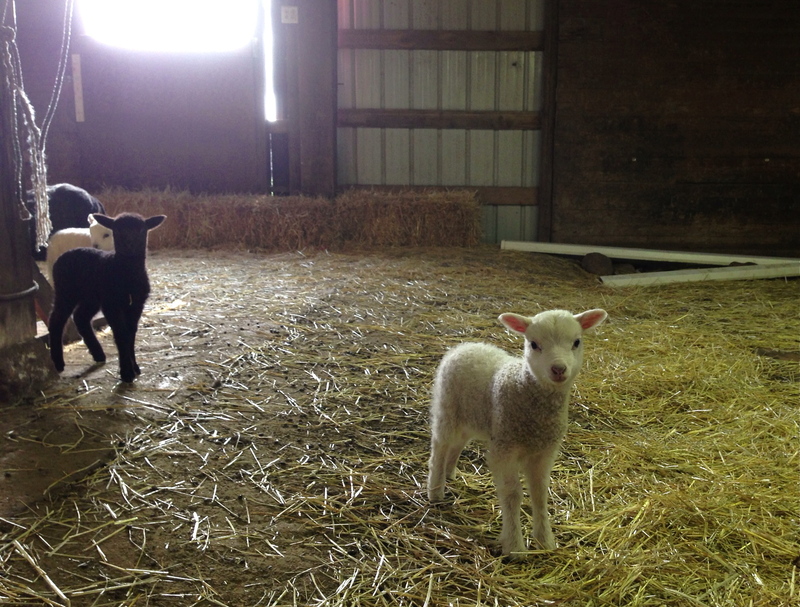 No complications have occurred, no lambs have been rejected and all Moms and babies look healthy and energetic. All of the first timers have taken quite well to their new roles as mothers and milkers and we have been slowly introducing the new additions into the flock with little to no issues. We did have a couple of surprises that shocked even us. 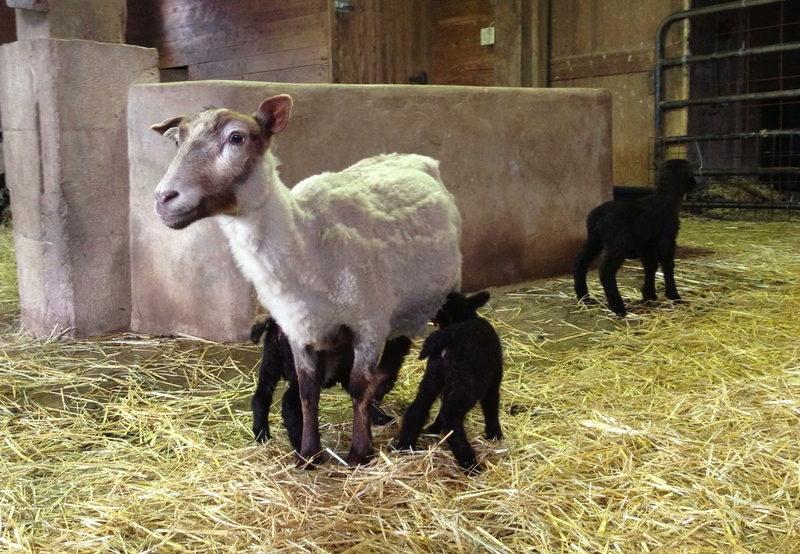 One of my favorite girls, Hannah, graced us with triplets (two ewes and a ram, no less) which is not only fairly rare in this breed of sheep but even rarer in a Shetland ewe’s first time lambing. 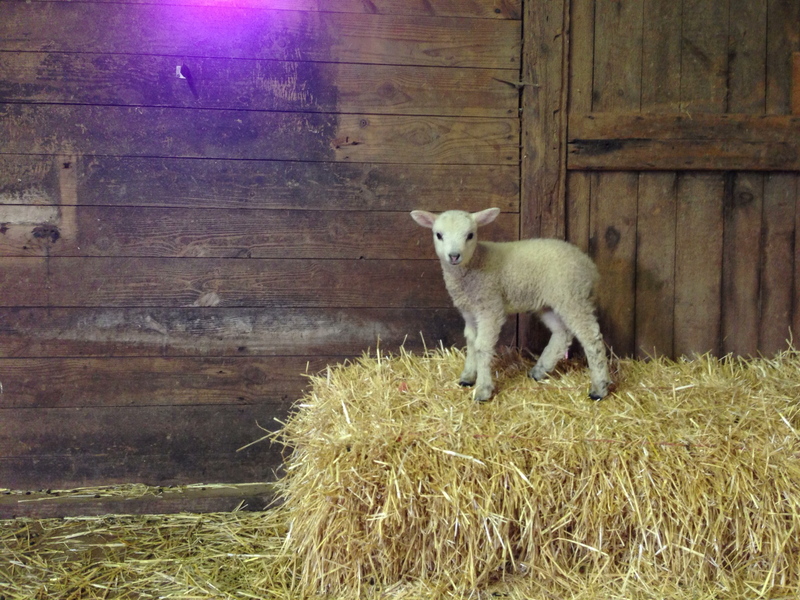 The littlest of her lambs weighed in at 3 pounds and took an extra day to fully get her legs under her but she’s a little fighter and seems to be catching up quite nicely to her brother and sister. She has learned how to fight for her time at the udder to be sure that she always gets her fair share. Hope, one of our more experienced ewes, only had a single which I was not expecting but looking back on it now I should have been able to tell from her shape while pregnant. 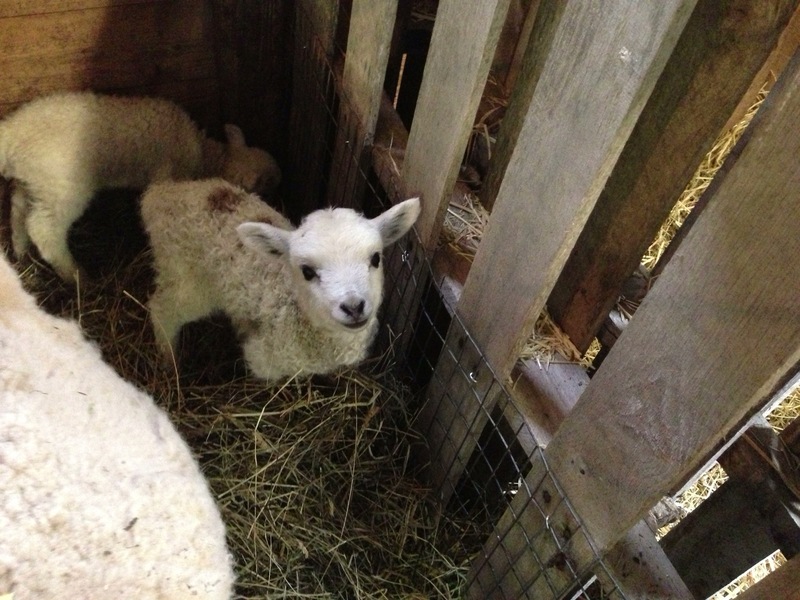 Her lamb turned out to be our only other completely white fleeced baby and was unfortunately a ram. 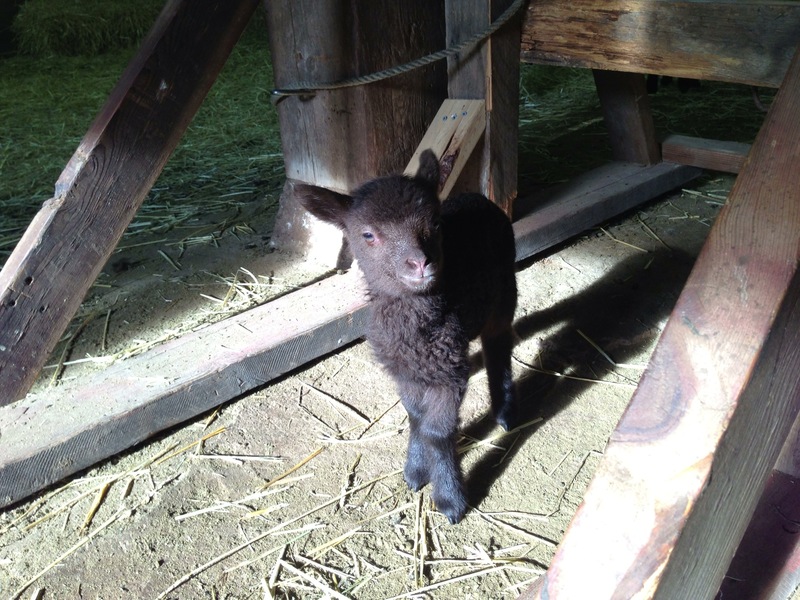 Granted, he was the largest lamb born this year, weighing in at 9 pounds, and seems to have a very cute personality. While I was in the barn checking on everyone this afternoon, I turned around to find him chewing on the hem of my pants while his mother stood by nibbling on some hay. 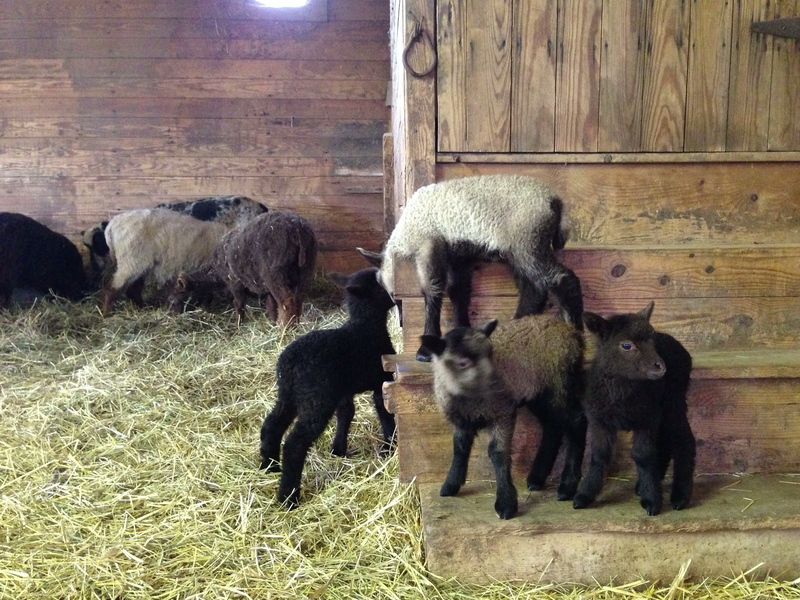 Looking back over the entire breeding and lambing process I believe that it was a success. 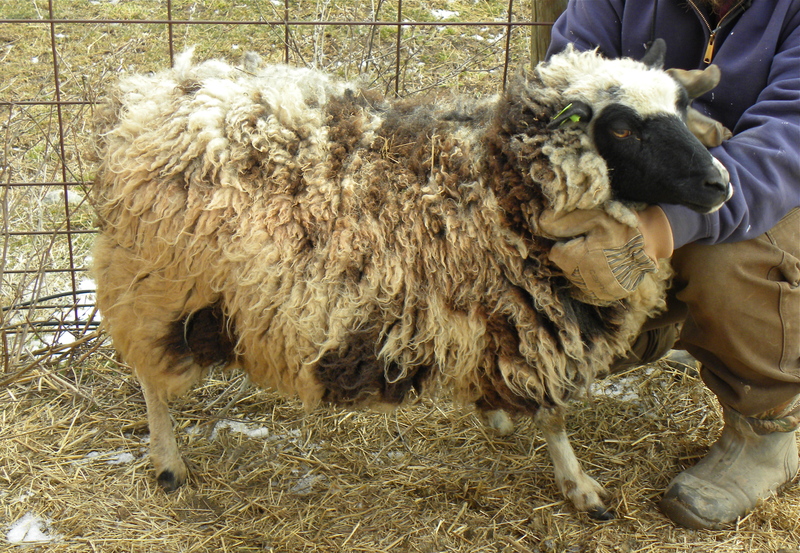 Traveling to buy Zeke and Fergus looks as though it will pay off quite nicely as they have sired large, strong, healthy and interesting colored lambs. All the mothers have taken to their new roles better than I could have hoped for and have seemingly provided us with beautiful additions to our growing flock. I am fairly happy with the breeding pairs that I made and for the most part got the colors and patterns that I had hoped for. We are already looking forward to next fall’s breeding schedule. With a few tweaks, and last year’s ewe lambs being added to the mix, I am hopeful and excited to see what we get in 2014.
new experiences for the littlest of us. And partaking in highly anticipated family traditions with one another. 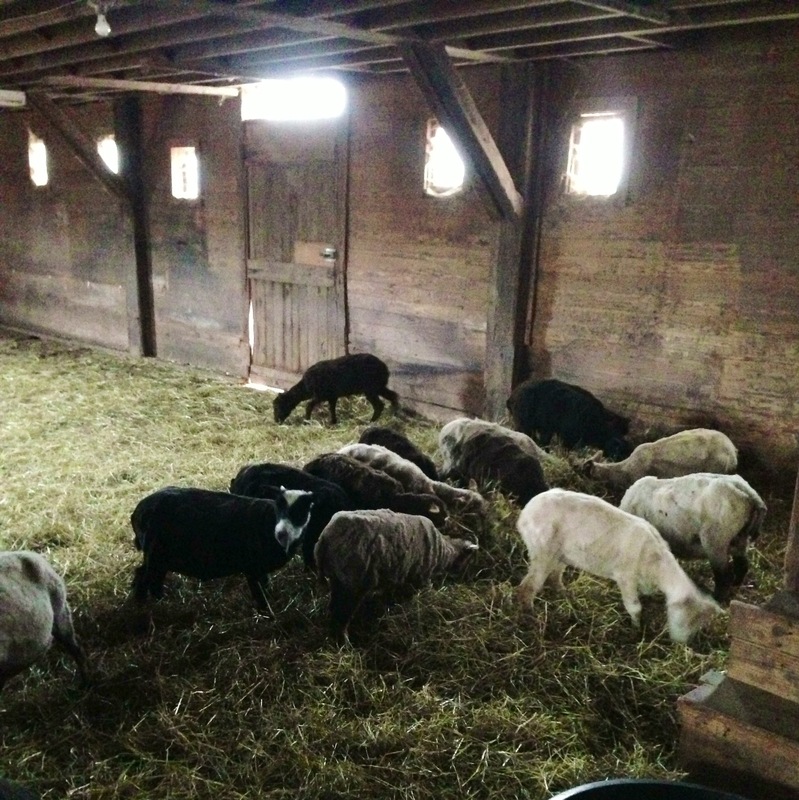 It was also sprinkled with many runs to the barn to check on the ewes. 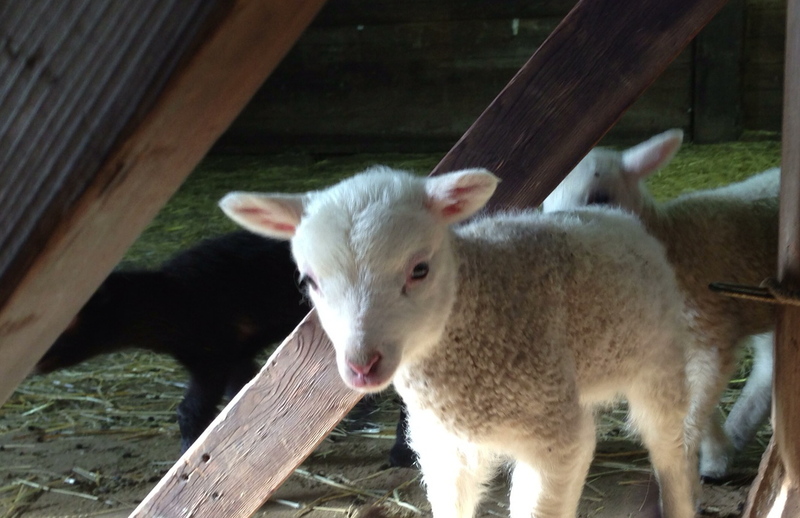 Honestly, I thought hoped that we would have a birth on Sunday (wouldn’t it have made for quite the pastoral scene, baby lambs on Easter Sunday and all? ), but in spite of many of the girls looking as if they had dropped (some even seem to be nesting now) no newcomers have arrived. So for now there our boots sit, our flashlights at the ready, waiting for something to happen. We have added a middle of the night barn check to the routine and have found ourselves lingering longer and longer, watching them all mill about, hoping to hone our farmer instincts to provide us with a keener eye for next year’s round of lambing. Something tells me that the future years’ experiences will never top this one. There is nothing quite like the glorious, ignorant bliss of the unknown and the anticipation of a completely novel (at least to us) occurence, you know? 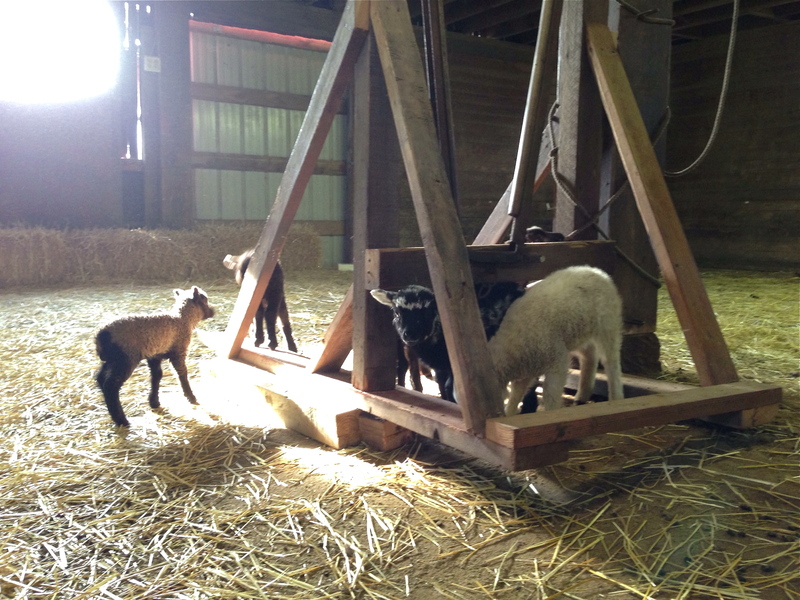 Yesterday was the first day of the range in which all the lambs are due. 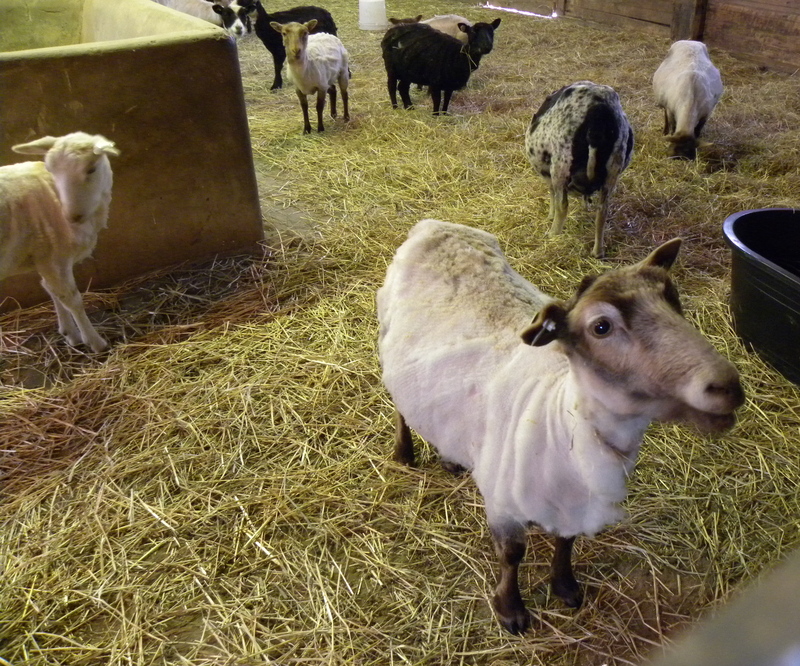 We have begun our schedule of barn checks, popping in at least four times throughout the day (morning, noon, dinner time and before bed) to see if anyone is showing any signs. 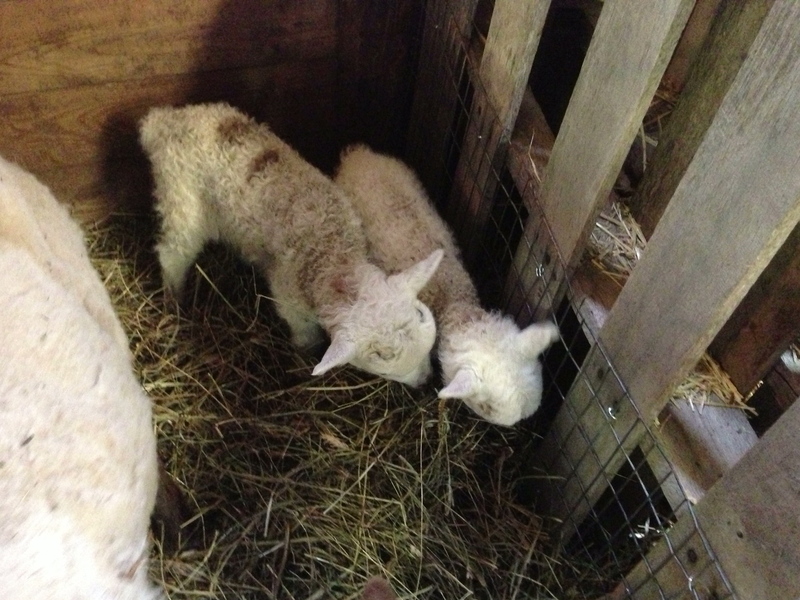 The lambing jugs are ready, individual feed and water buckets prepared, and fresh straw down. 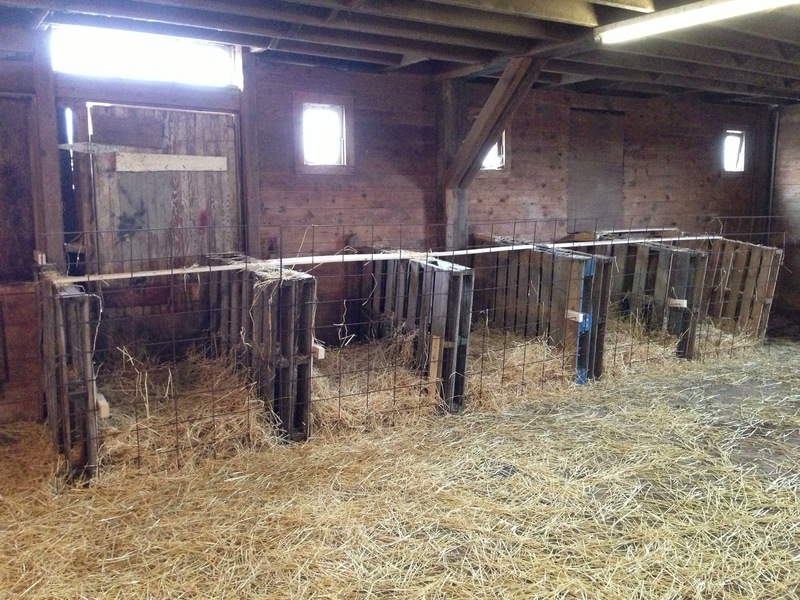 As you can probably see, Kevin made the jugs (a place where each ewe and her lambs can go to bond and be away from the bother of the rest of the herd) from pallets we had lying around and some extra panels of sheep fencing. That’s five free jugs that would have otherwise cost us $400 to buy new. When I went in to give everyone their snack this morning I let the girls know that we are ready whenever they are. Hum, I don’t think they were paying any attention. Have a very happy holiday weekend if you are celebrating. We will be spending it, here at home, anxiously awaiting our new little arrivals! 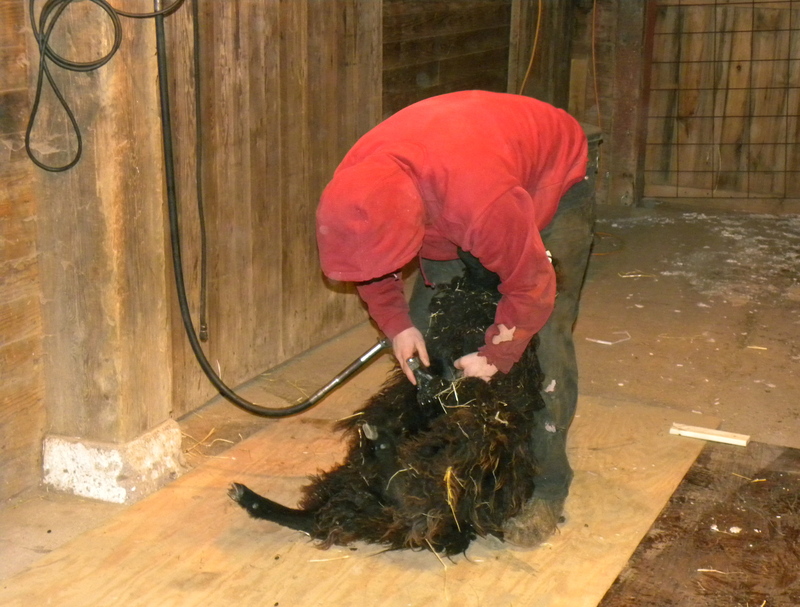 Today was shearing day here at the farm. 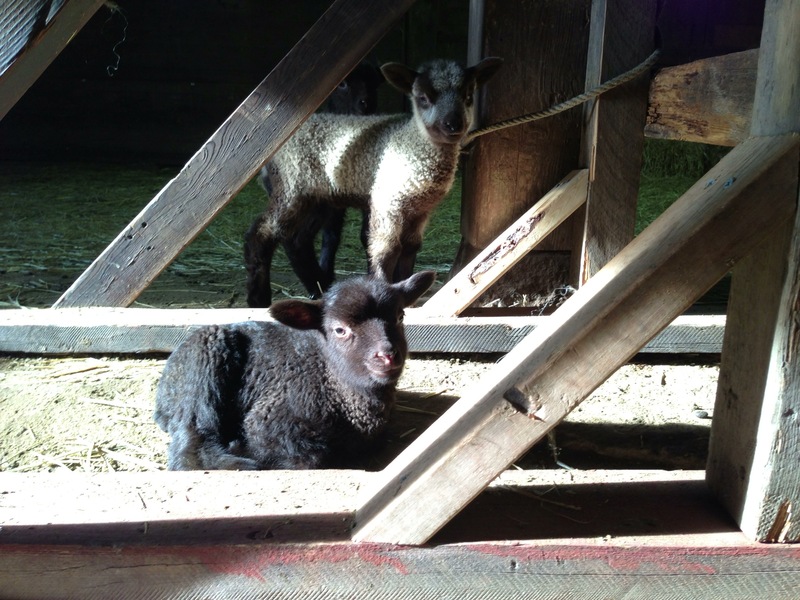 Our twenty ovine friends got a trim bright and early this morning. 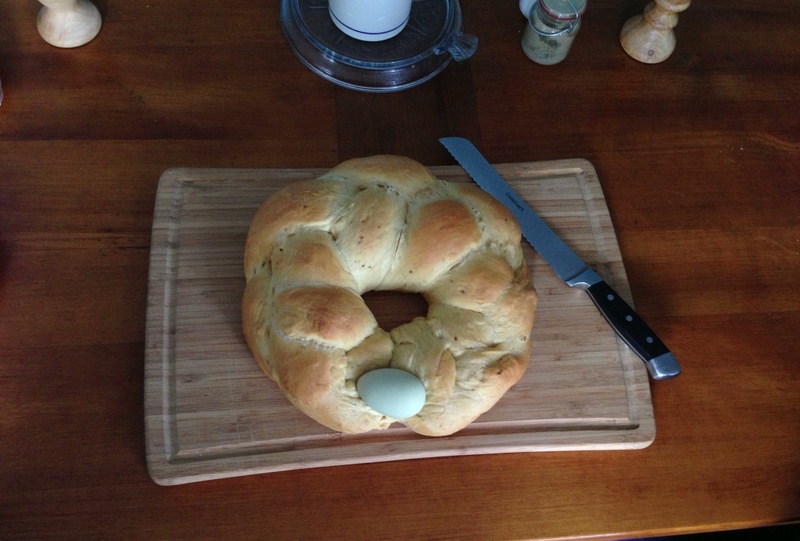 All were fairly cooperative and the entire process took just over two hours. It was also 27 degrees and blowing snow, not exactly the spring weather we had hoped for on such an occasion. 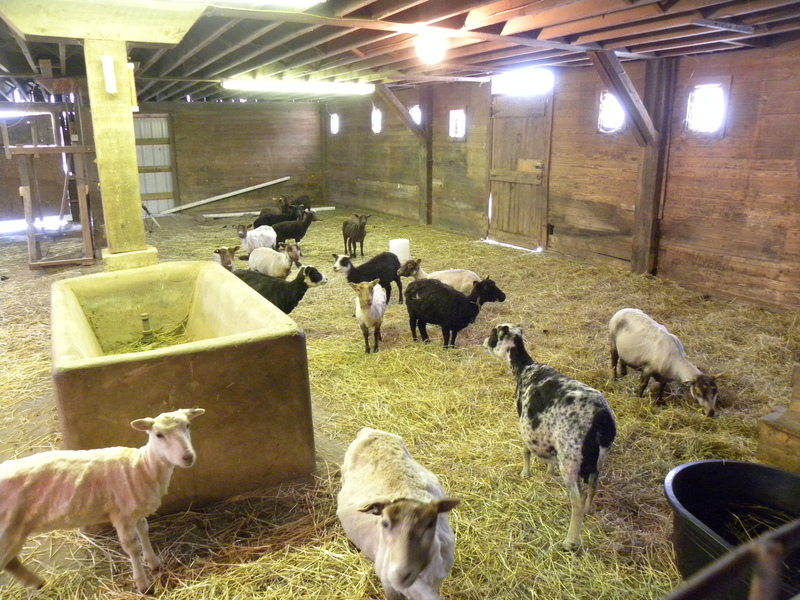 Consequently, everyone will be staying in the barn where they will stay dry and out of the wind until our weather improves a bit. Here is Miss. 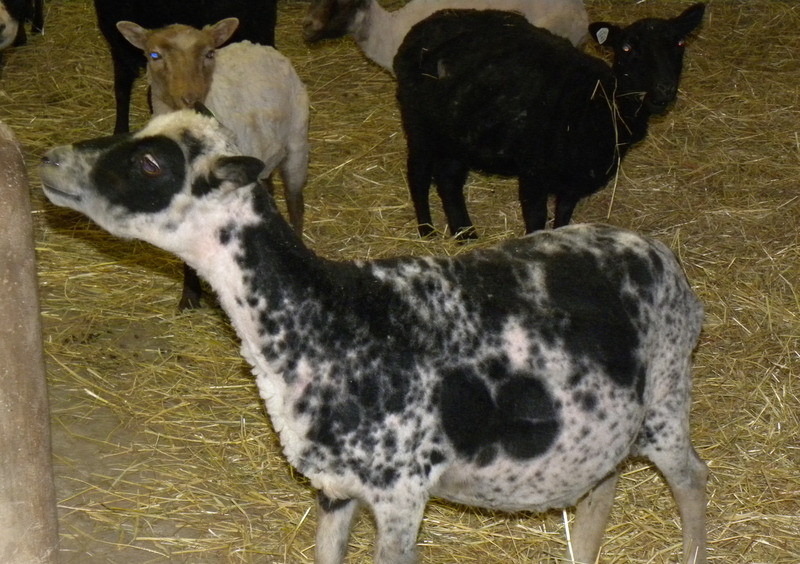 Dessie (one of our favorite and friendliest ladies) before shearing. And here she is after her hair cut. I think I spy a baby belly. They look so different without their fleece! 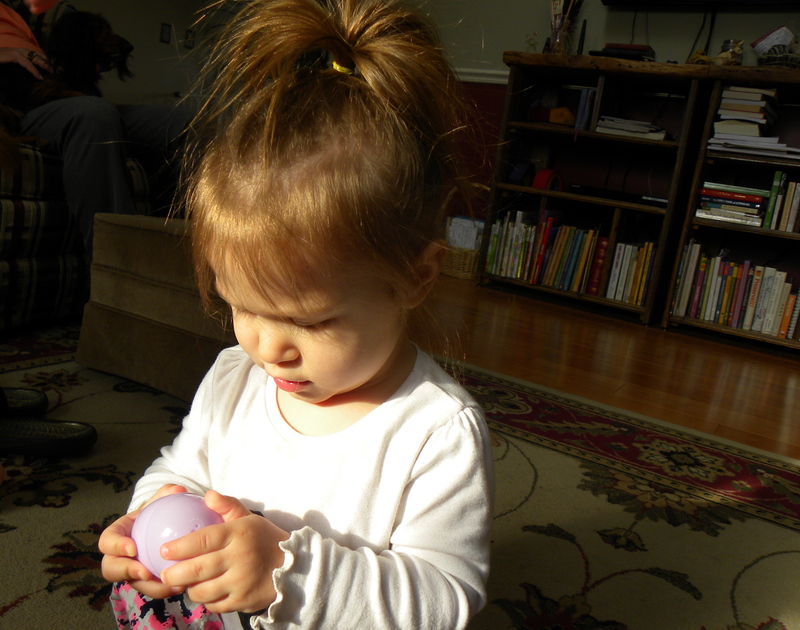 Hannah is looking at Kevin, possibly wondering why we would do such an embarrassing thing to her? And the most mortified of all, the boys. Can’t you tell by the look on Zeke’s face that he is not happy with us? We also uncovered more than a few large udders while removing all that fleece of their’s, leading us to believe that all seven ewes in this year’s breeding plan will grace us with at least one lamb each over the next month. Now we just wait and see! 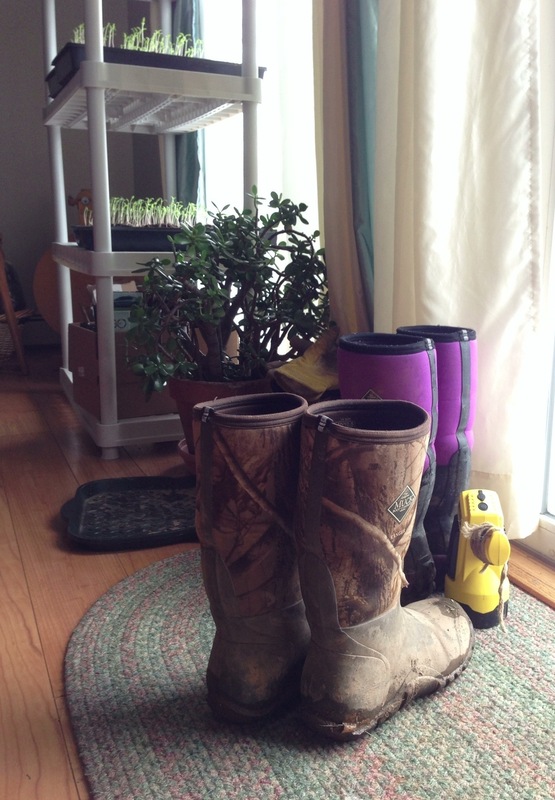 wanna catch up on what has been happening here on the homestead? 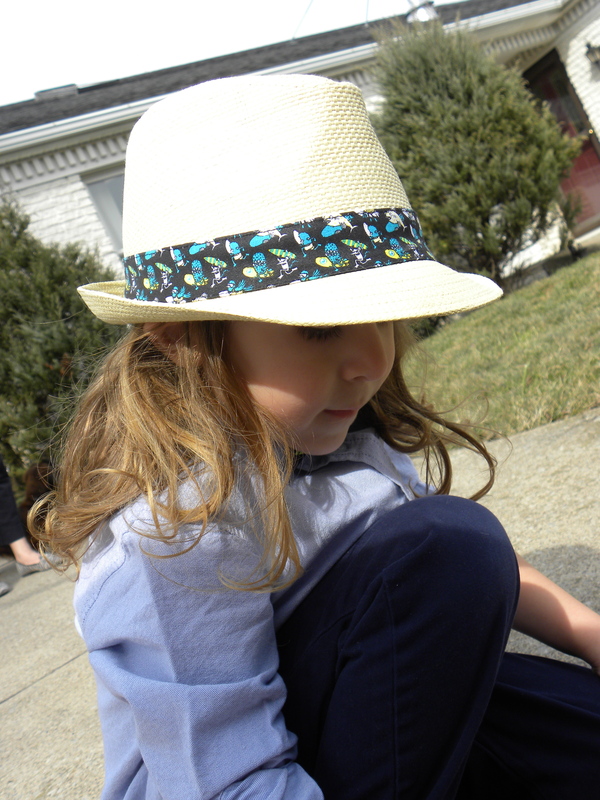 All content on this here blog is ©bighouselittleprairie.com, 2012-2014. Please do not use and/or duplicate any content or images without my written permission. Thanks.